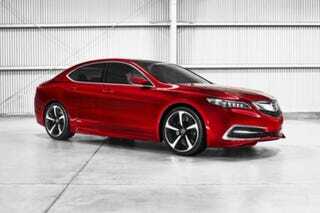 This is the new TLX. Nice wheels, actually the whole thing isn't too bad. Maybe I'm just finally getting used to Acura's design language. Better pictures to come.